Remember good old fashioned School Sports Days?...Egg & Spoon Race?...Sack Race?...Wheelbarrow Race?...3 Legged Race?...the list is endless. Well now Bubble Soccer Scotland can bring back those memories and take you back to your younger days. Minimum of 10 participants over the age of 8 will take part in a host of old schools sports day games organised and supervised by our dedicated team. 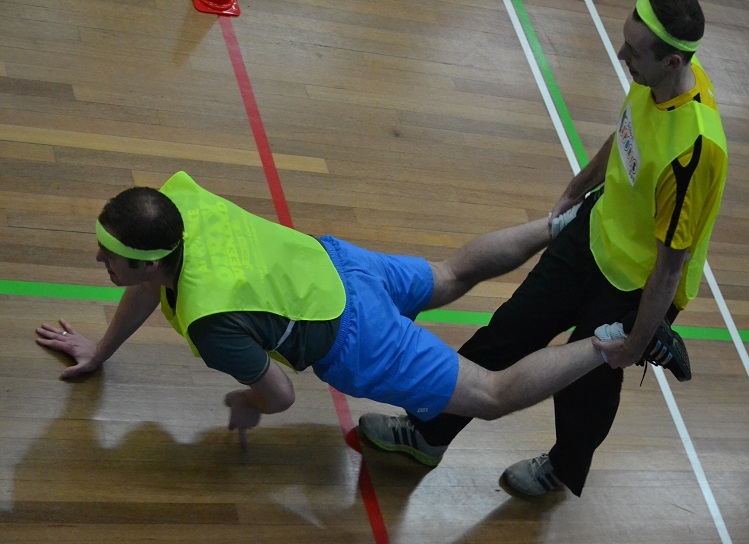 Participant has to spin around 20 times then run in and out of cones to end cone and back again to tag their team mate, format continues for the rest of the team to complete. 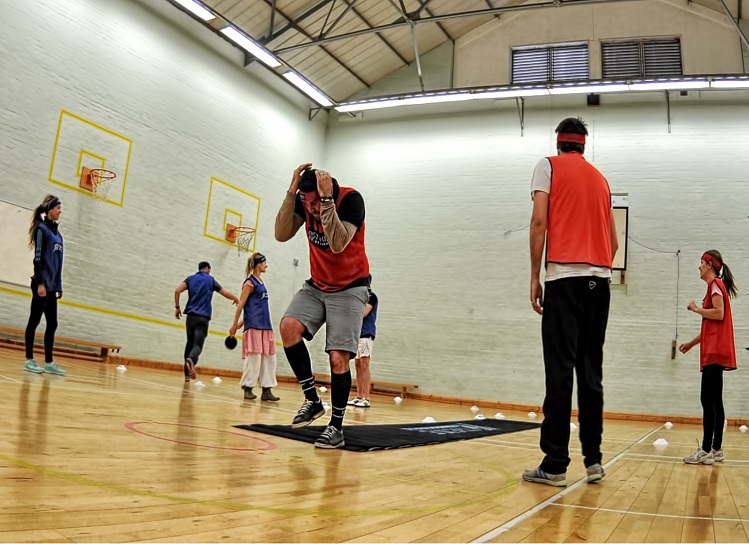 Participant gets in a sack provided and proceeds to jump in the sack to the end of the lane and back to their team mate, format continues for the rest of the team to complete. Participant has to balance a bean bag on their head while getting to the end of the lane as fast as possible and back to teammate to repeat process. Format continues for the rest of the team to complete. If the bean bag is dropped the participant ‘should’ go back to the start. 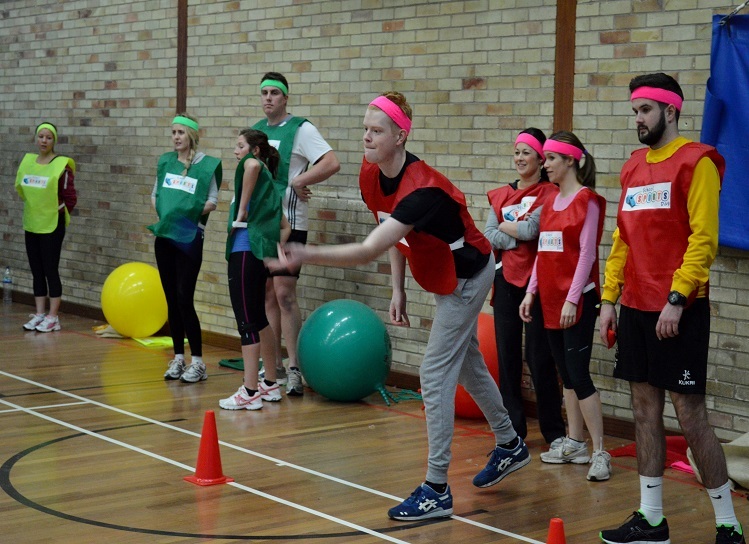 Participant has to balance an egg on the end of spoon whilst running as fast as possible to the end of the lane and back to pass over the egg & spoon the the next teammate. Format continues for the rest of the team. If the egg is dropped the participant must stop where they are and place the egg back on the spoon before continuing to run. Participant uses the skipping rope provided to skip to the end of the lane and back to their team mate to repeat. Format continues for the rest of the team to complete. Two participants have to join together and attach a special strap to their adjoining legs (left leg for one, right leg for the other) which will create three legs between two participants. They then combined have to get to the end of the lane and back as quick as possible. The strap then has to be transferred to the next pair waiting. Format continues for the rest of the team to complete. Participant dribbles with football in and out of cones to the end cone and back again, then passes over to team mate who repeats process. Format continues for the rest of the team to complete. Each team will have 3 colour coded bibs. On go, the first person from each team will run to the tic tac toe board (9 placed Hula Hoops) and place it in one of the hula hoops. They will race back to their team and the next participant will go. This will continue until the 3 bibs are placed. The goal is to have your team get 3 in a row (horizontally, vertically, or diagonally). If all 3 bibs from both teams have been placed and there is no tic tac toe, the next participant in line will be able to move one of their own team bibs into an open hula hoop. Two hoops stay in the racing lane and with the bean bag the participants alternatively take turns to throw the bean bag into one of the two hoops. On a point system, 2 points the closets hoop, 3 points for the furthest away hoop. The team with the most points win. 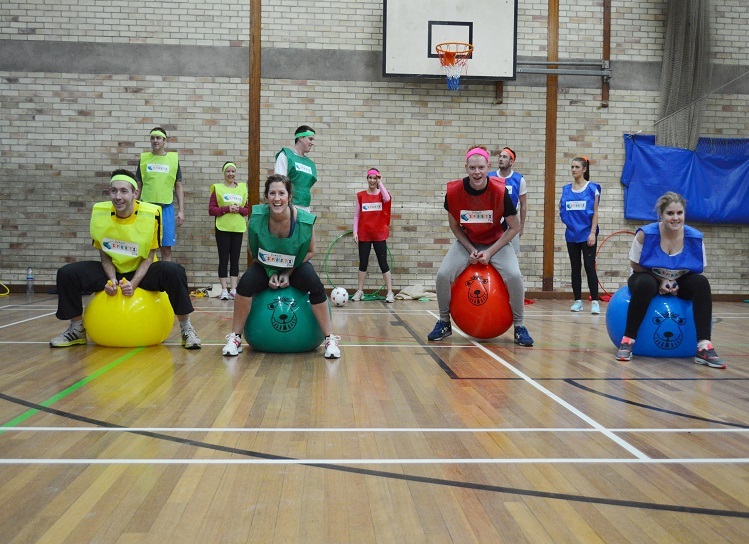 With the space hopper provided the participant attempts to get to the end of the lane and back to their team mate as fast as they can while on the space hopper. Format continues for the rest of the team to complete. In pairs they have to attempt a wheelbarrow run to the end of the lane and back again as fast as they can. They have to achieve this by participant 1 getting into a press up position. Participant 2 then takes hold of participants 1’s ankles. Using participant 1 as a ‘wheelbarrow’ they then compete in the race. At the end of the lane they switch over roles and participant 2 becomes the ‘wheelbarrow’. Format continues for the rest of the team to complete. All participants from each team will grab opposite ends of a 20m Tug of War rope and pull against the opposing team. Whatever team successfully pulls all participants from the opposing team over the centre mark wins. Participant 1 runs in and out of the cone to the end cone and back again to participant 2. They link arms with participant 2 and repeat process. They then link with participant 3 and the process continues through the whole team to create a chain of runners. The format continues until the whole team cross the finishing line. Sports Day package is immense fun for adults and also children. Perfect for Stag/Hen Doo's, Kids Parties, Corporate & Team Building Events. Bring back the nostalgia and book our School Sports Day package. Add this to your Bubble Soccer mega mix for additional football fun. Our School Sports Day events are packed with action from start to finish & we aim to tailor the event to your taste. School Sports Day aims to provide the best possible experience: there will be laughter, fun, banter & much more laughter, whatever your age guaranteed you'll have a ball!